I’ve argued that the teaching of rabbinics begins sooner than you might think. How would early childhood educators respond to my theories? I went on the road to find out. Recently, I spent two days with the faculty of a Jewish early childhood center in a Jewish day school, to launch their participation in the Legacy Heritage Instructional Leadership Institute Rabbinics Initiative, a project of the William Davidson Graduate School of Jewish Education at the Jewish Theological Seminary. One of the consultation’s goals was to raise teachers’ awareness of the ways in which rabbinics was already a part of their curriculum. From the onset, teachers had some reservations about the notion that they were teaching, or were teachers of, rabbinics. That they were teaching in a Jewish school whose curriculum was shaped by Jewish values, the Jewish calendar and Jewish practices was apparent, yet faculty shared a commonly held assumption that the starting point for the study of rabbinics begins when a book from the rabbinic canon is placed in front of students. There is a certain logic to this assumption. Because, for the most part, we encounter the rabbis – and their stories, thoughts, ideas, and values – through texts, we equate the discipline of rabbinics with the study of rabbinic literature. 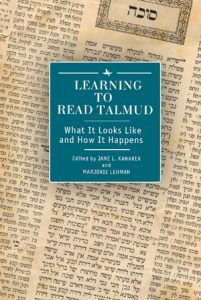 Because rabbinic literature is often complex and, due to its language and logical structure, can be challenging to learn, we wait until students have acquired the appropriate skills and intellectual maturity before we engage them in the study of rabbinic texts.